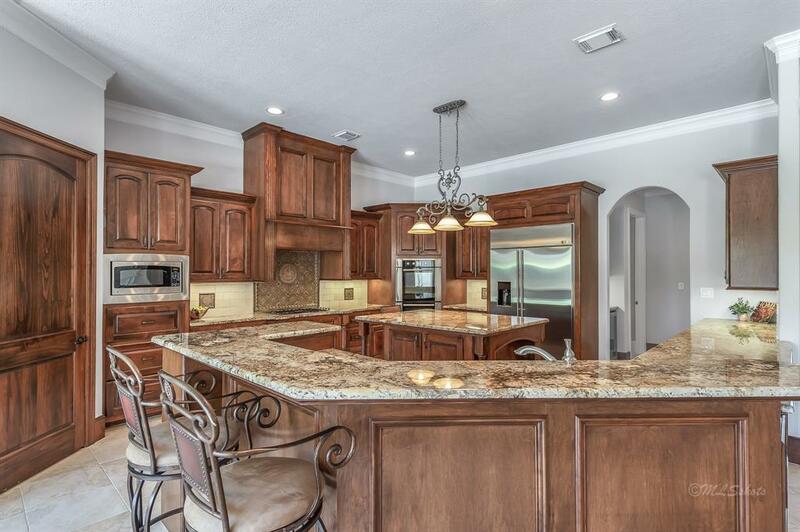 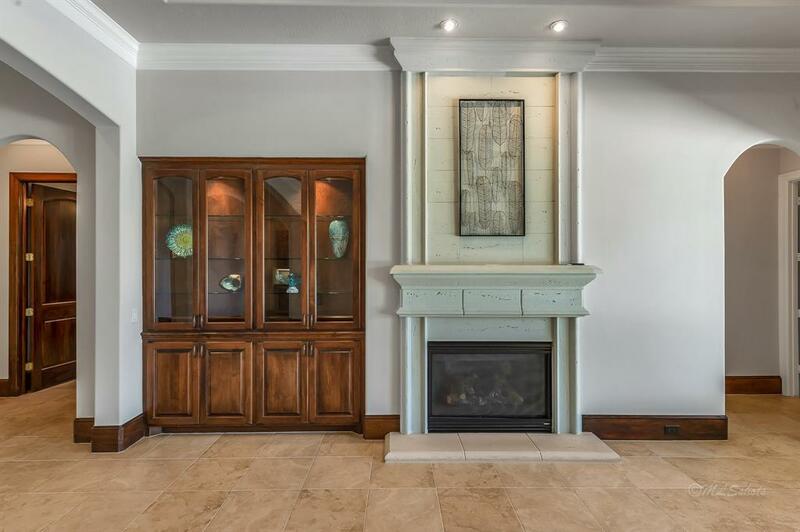 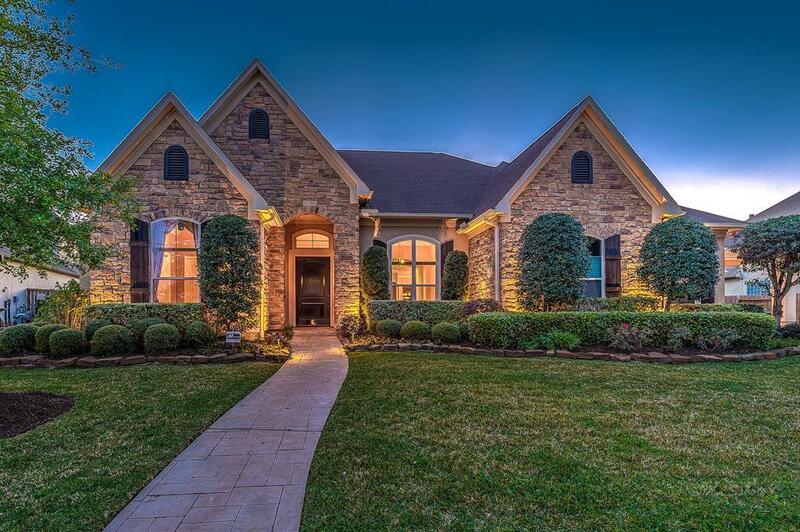 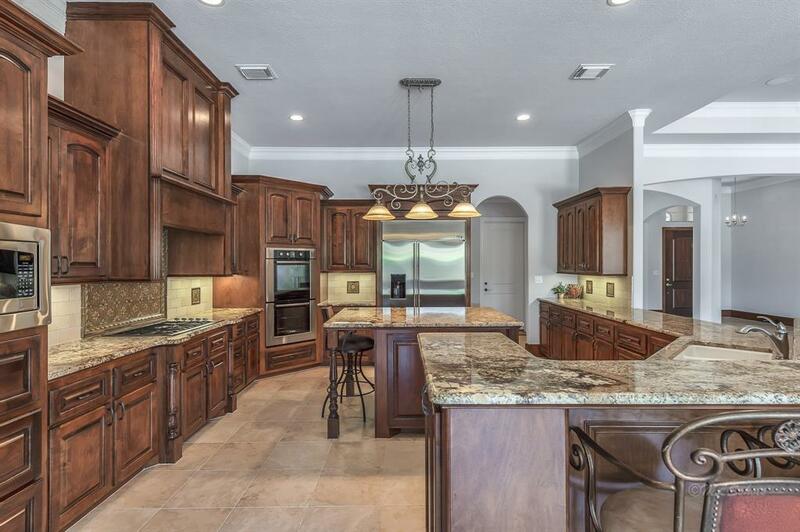 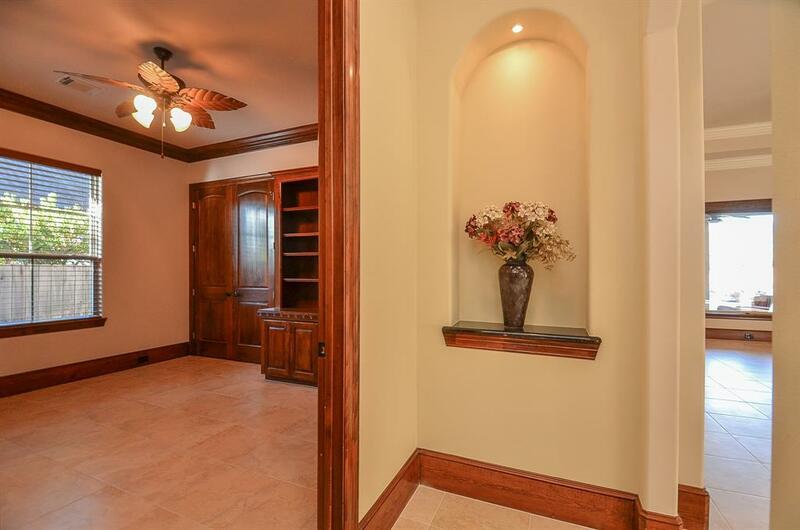 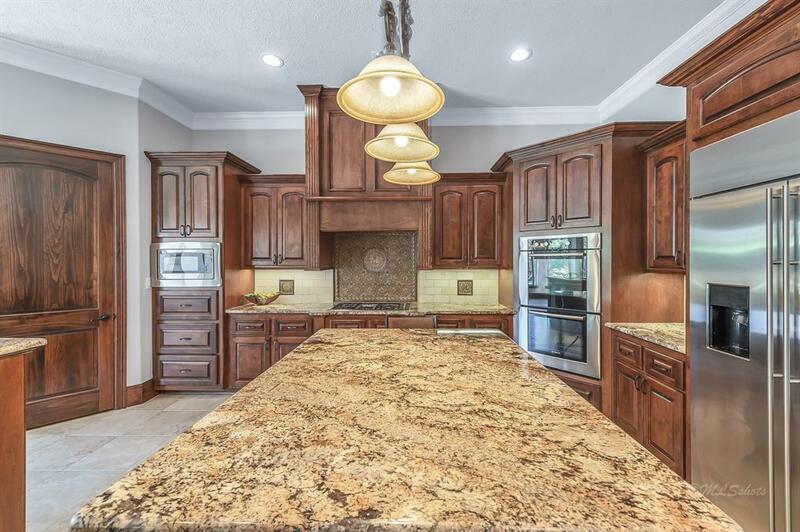 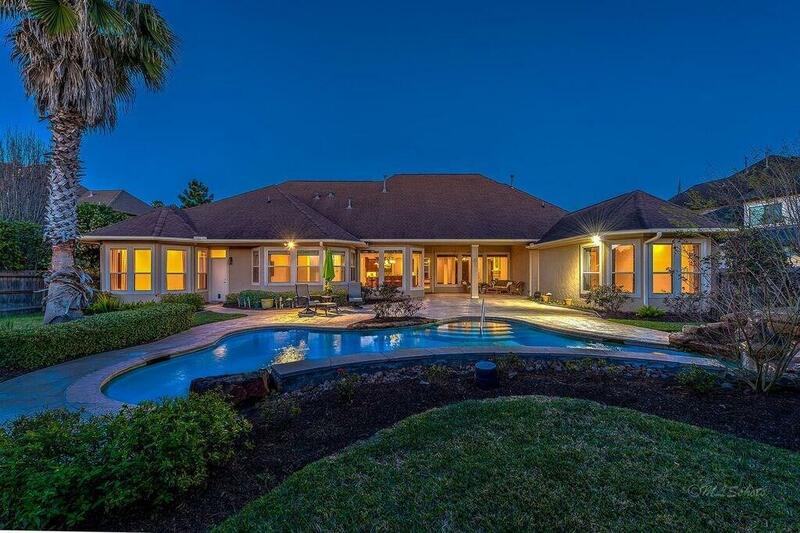 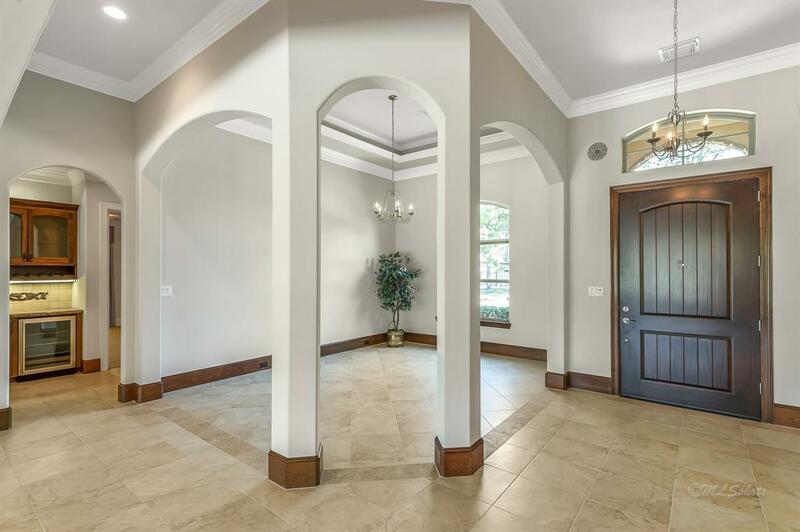 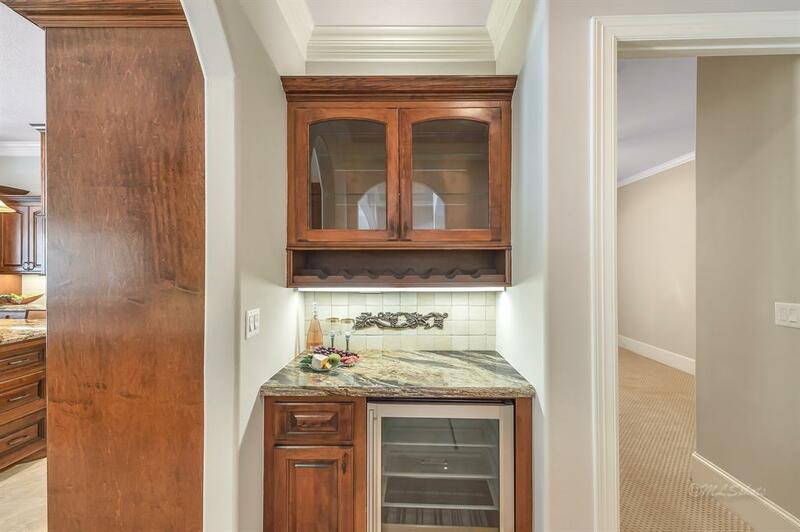 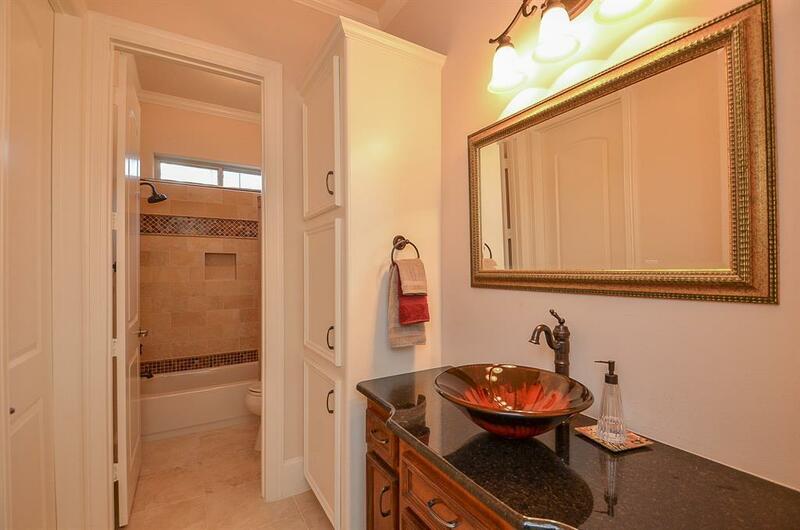 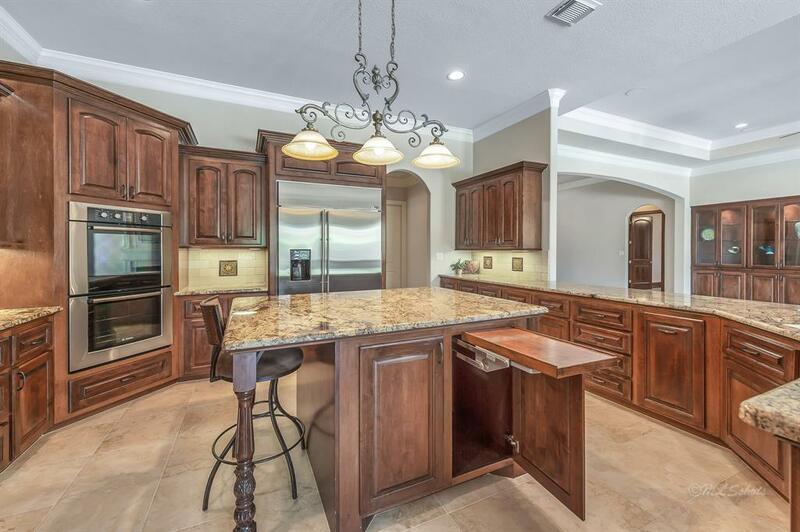 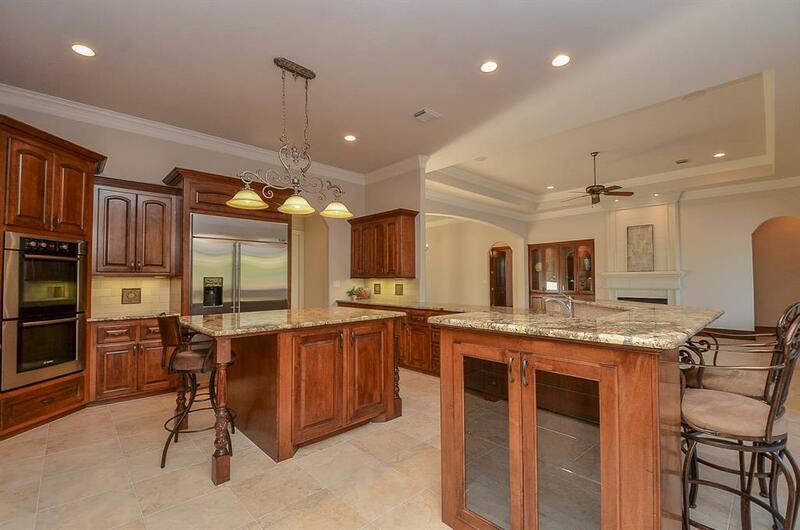 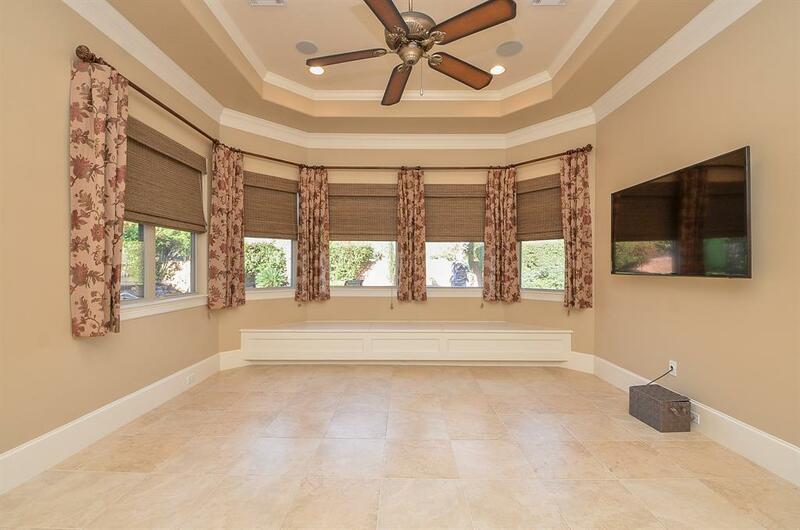 This 1-Story, 1-Owner custom showplace built by Ronny Carroll Homes is one not to miss. 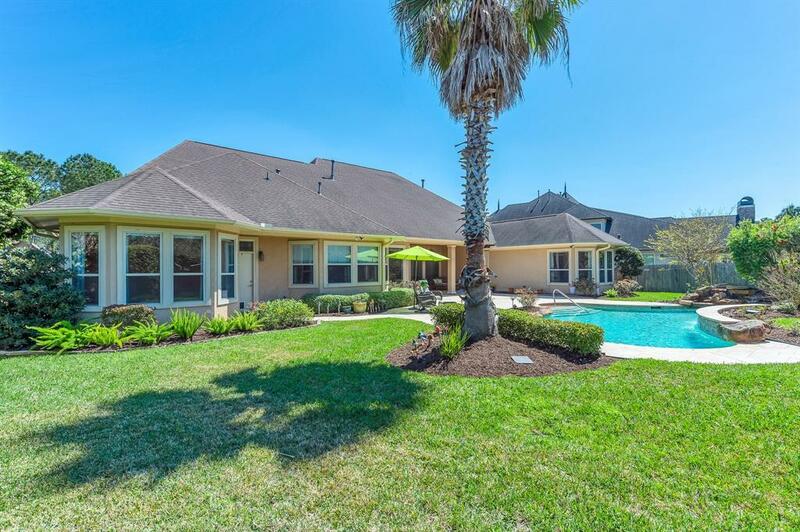 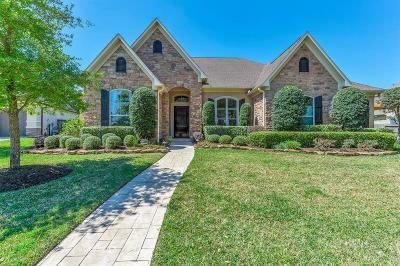 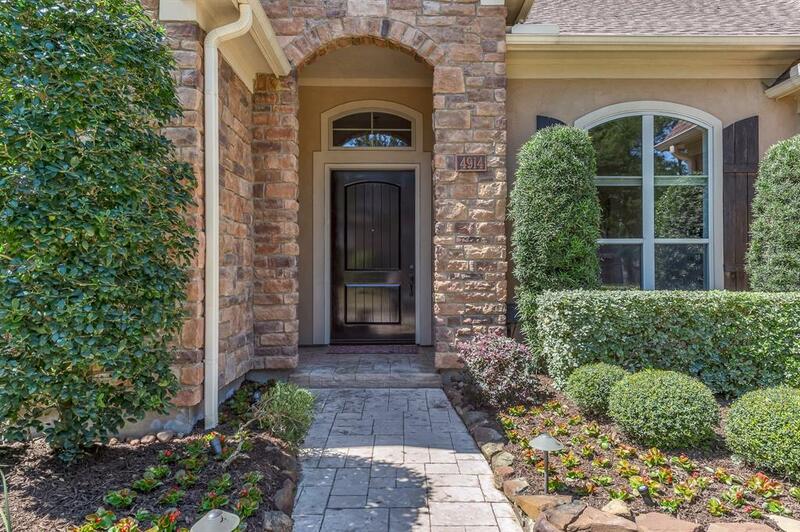 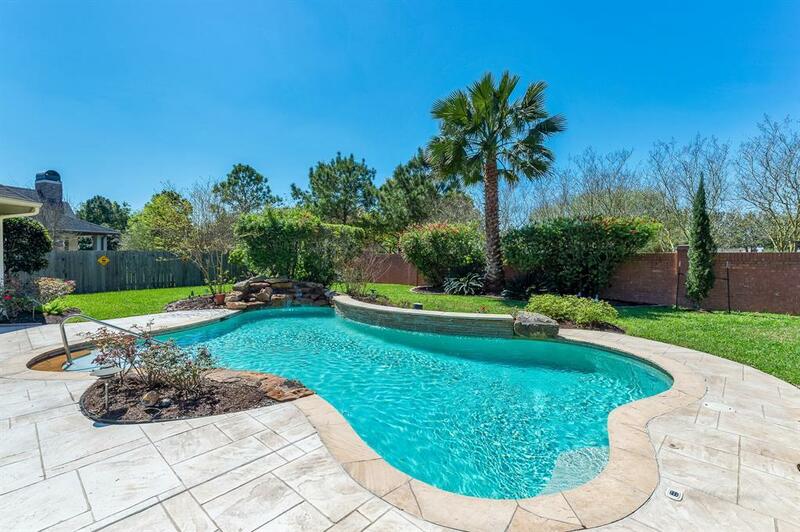 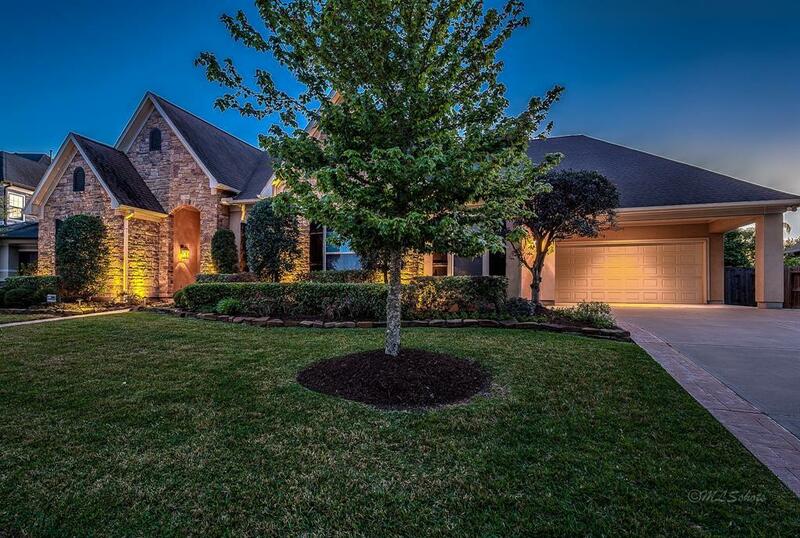 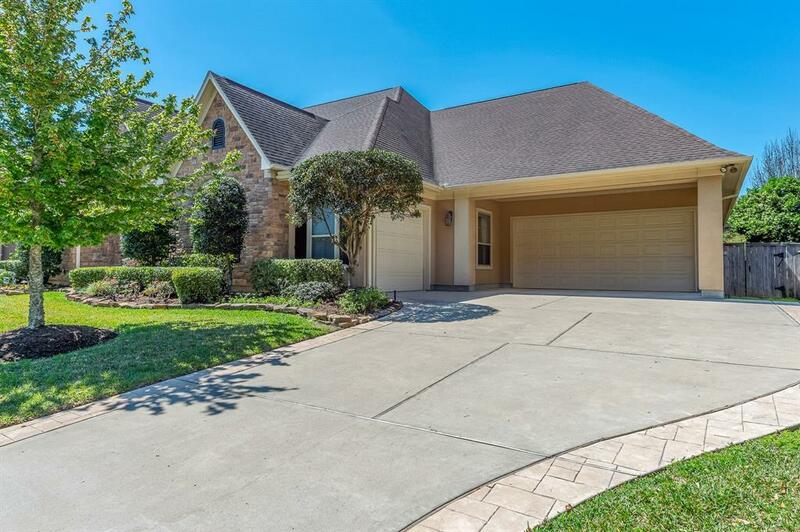 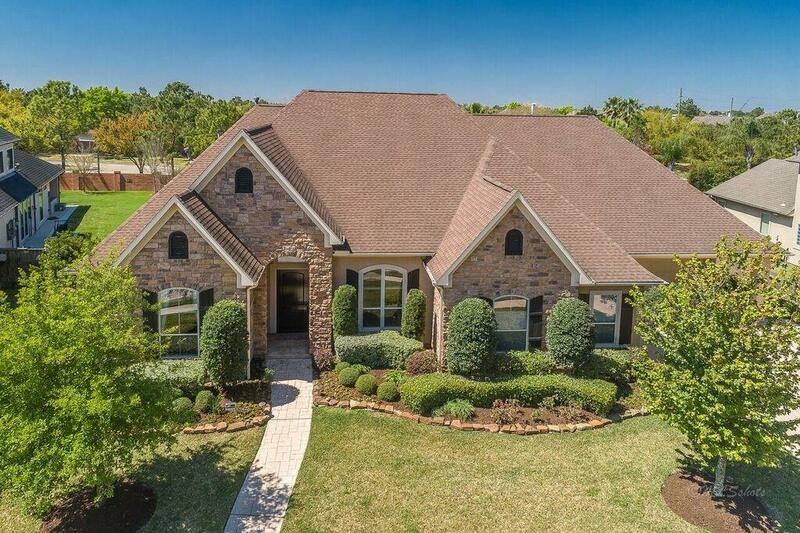 Superb location backing to the greenbelt on a large lot (no rear neighbors) in the exclusive gated Cinco Ranch community of Bayou Pines. 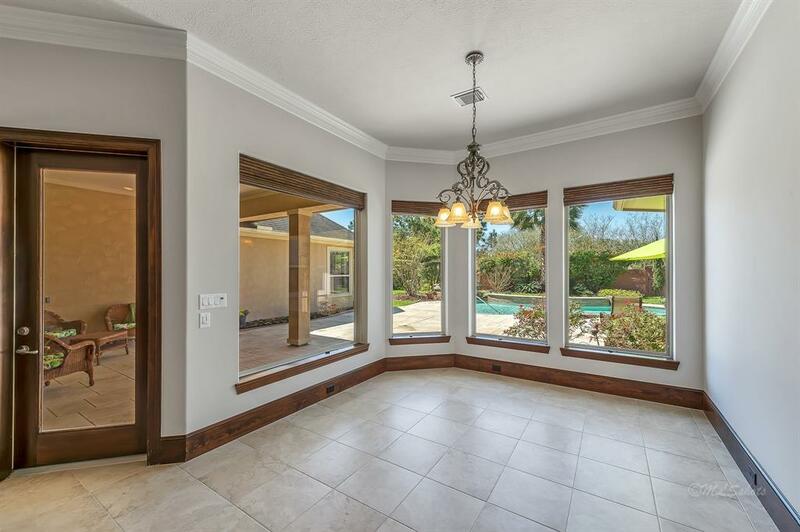 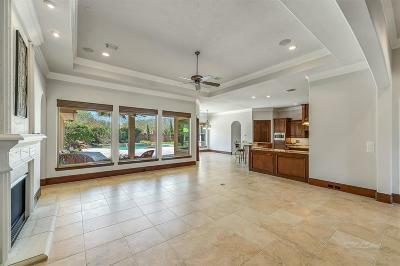 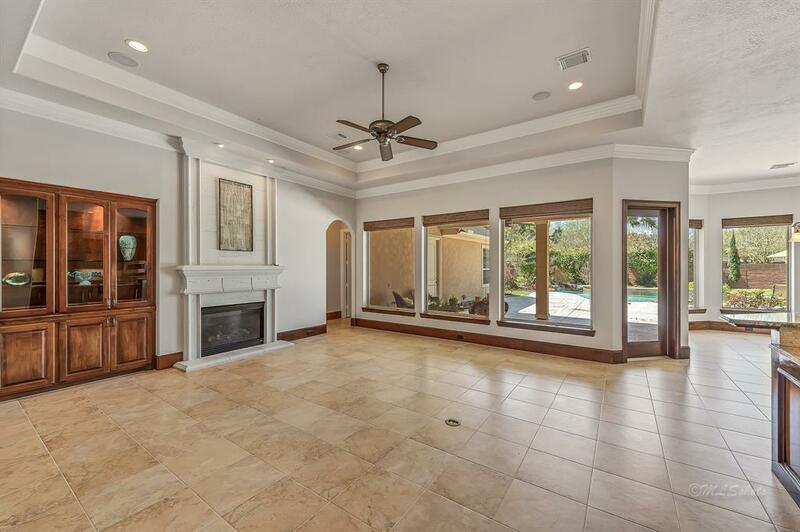 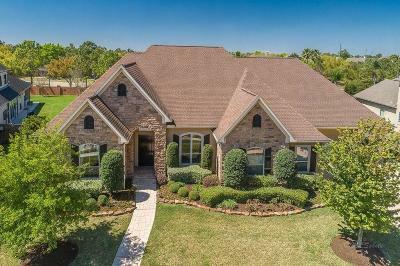 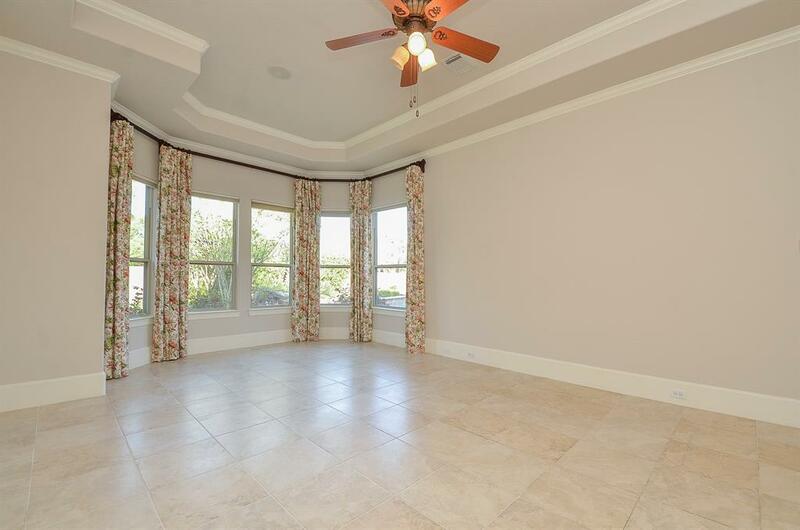 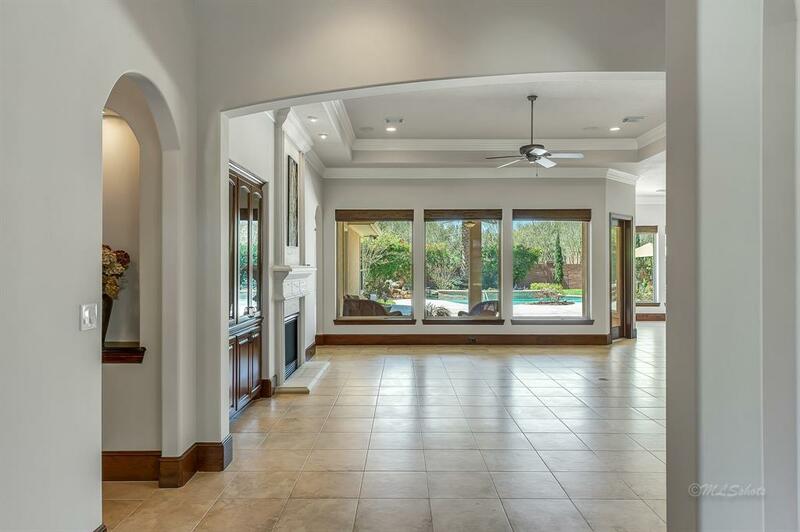 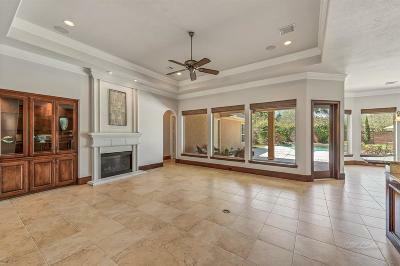 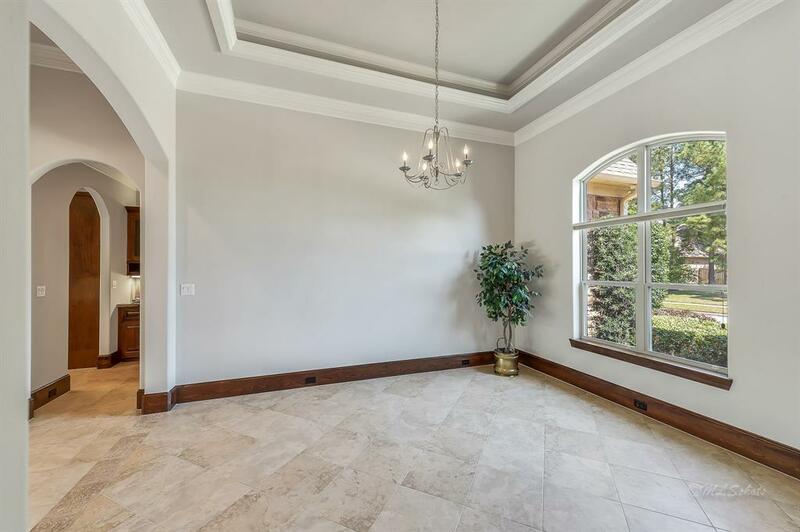 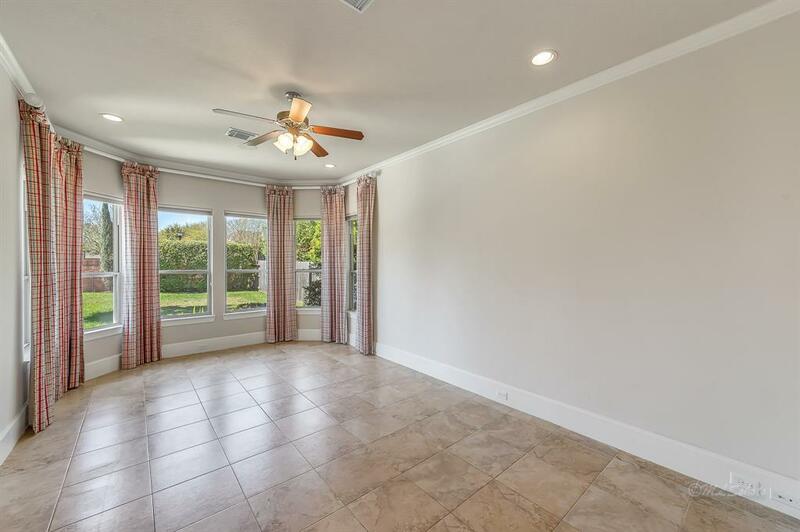 Endless list of top-of-the-line features in this sprawling floor plan incorporating a great room area & formal dining fit for entertaining - boasting all windows w/views leading to the pool & back yard. 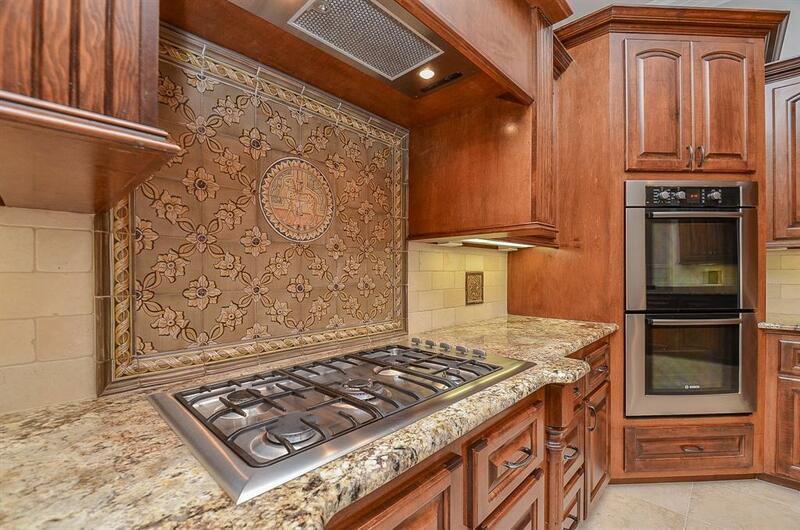 Chef's kitchen w/huge island is surrounded by functional space, storage, features & stainless steel finishing touches. 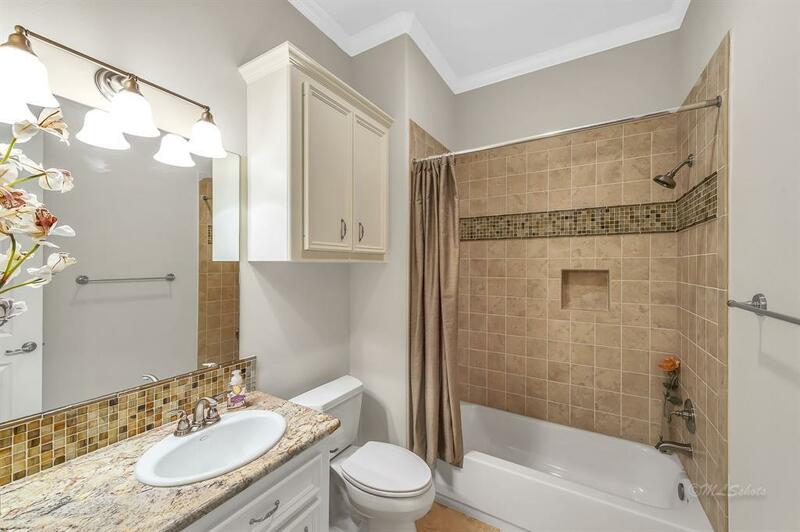 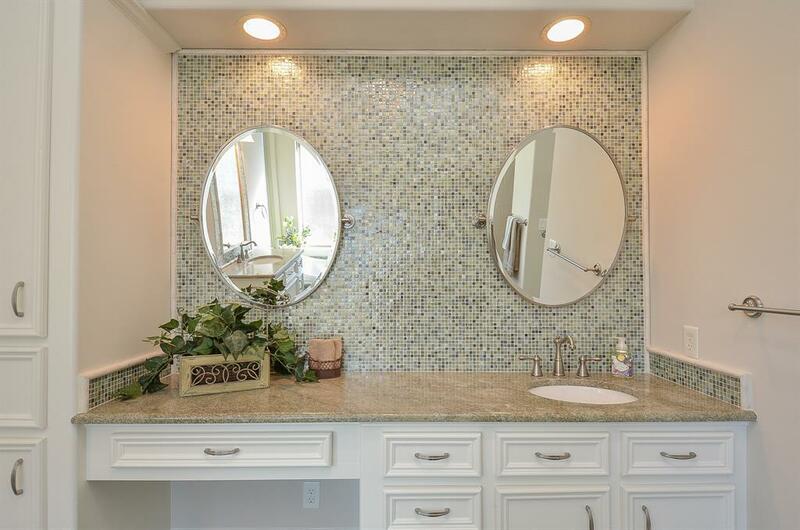 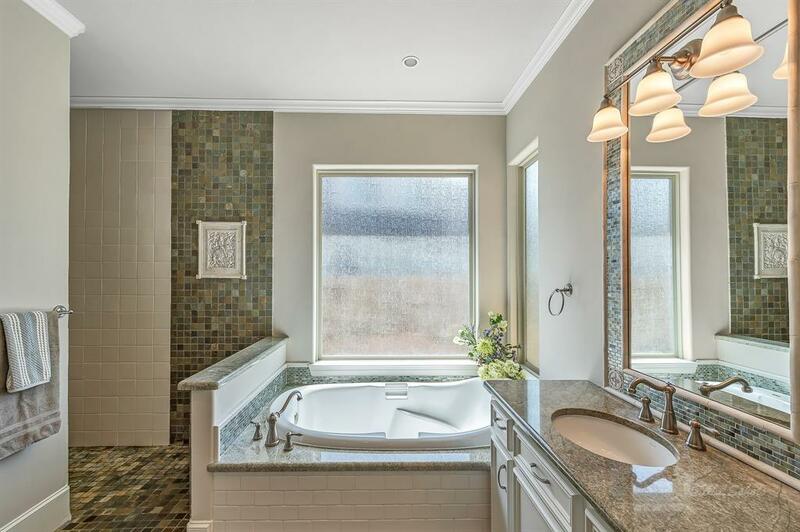 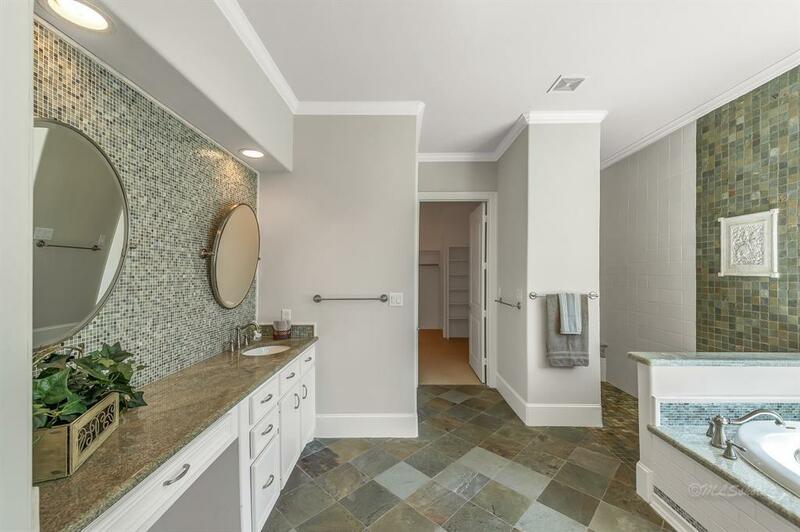 Lavish Master Suite & spa-style master bath: note the custom mosaic tile & inlay of art on walls! 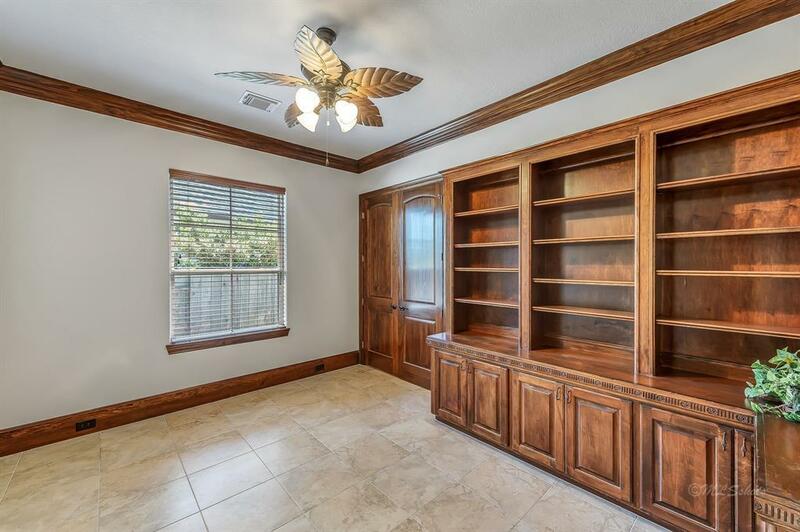 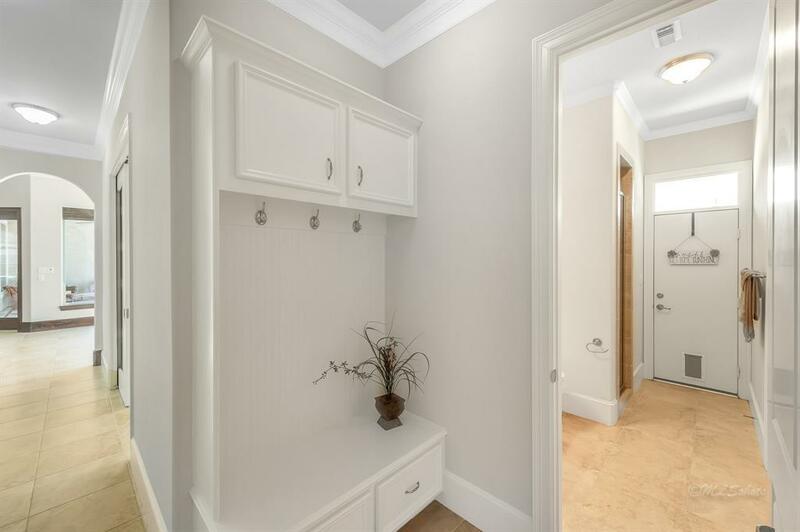 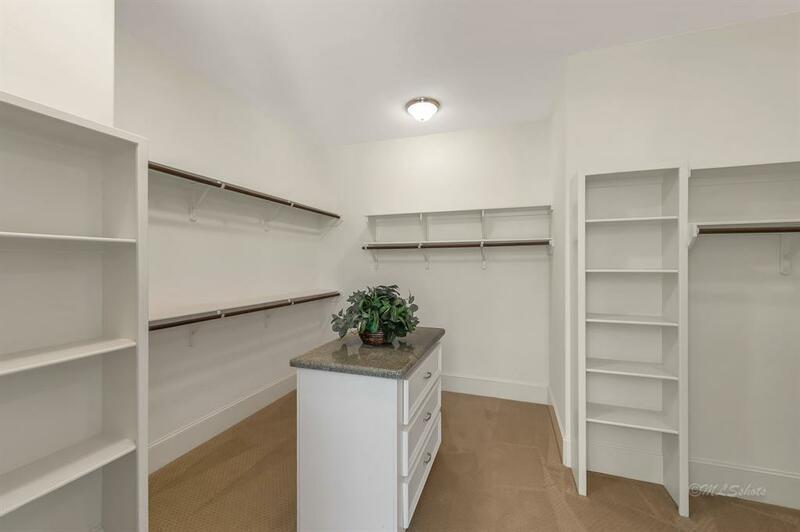 Private study w/a wall of built-ins. 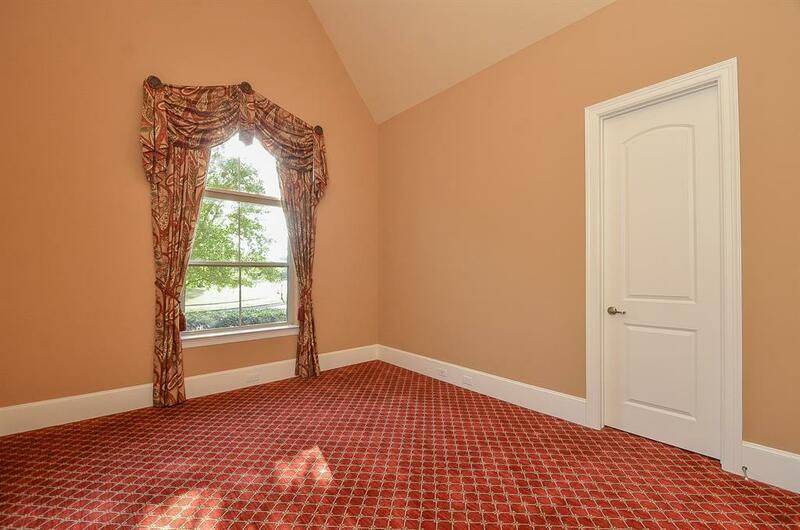 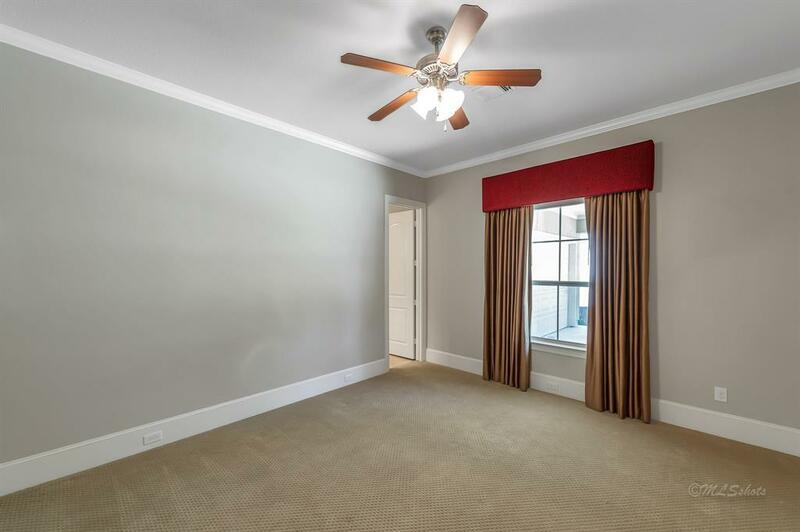 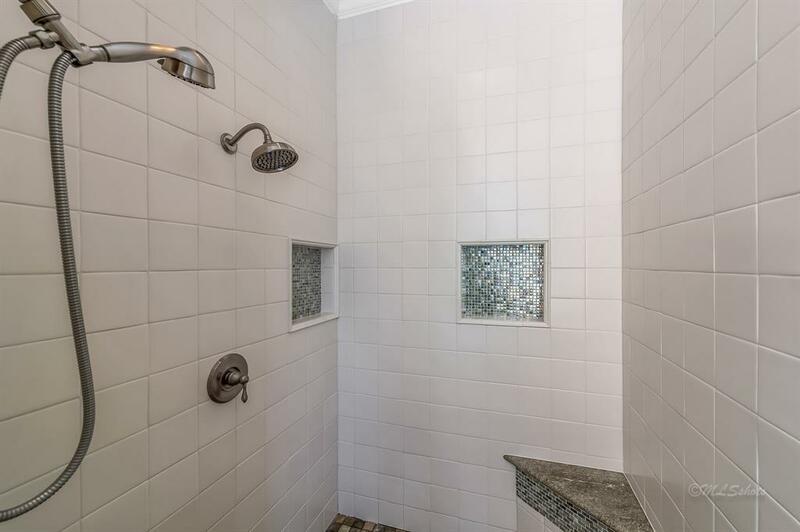 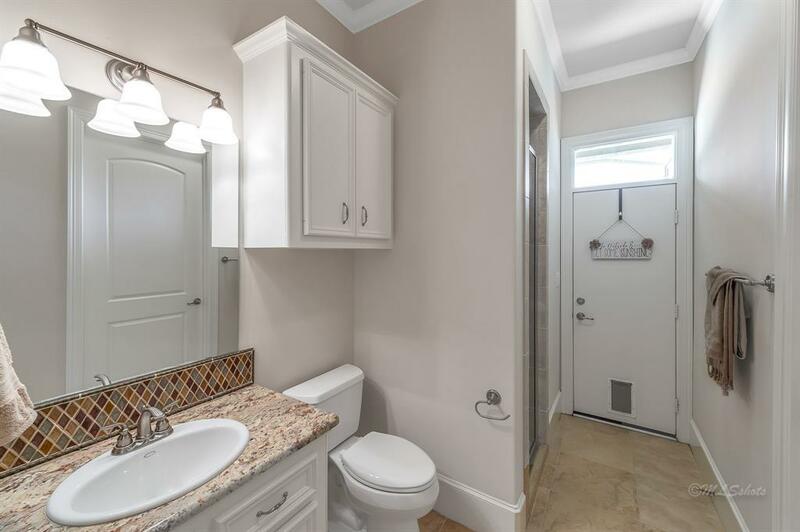 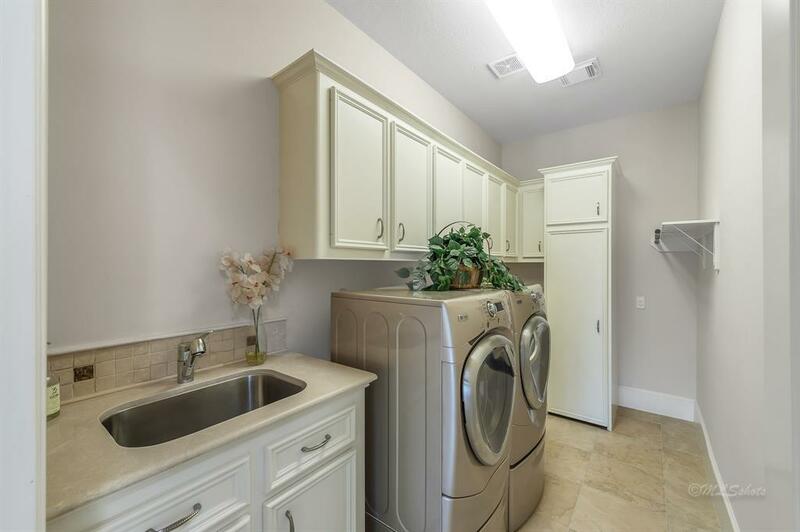 Expansive media room & 3 secondary bedrooms each w/ their own baths & in their own private areas of home. 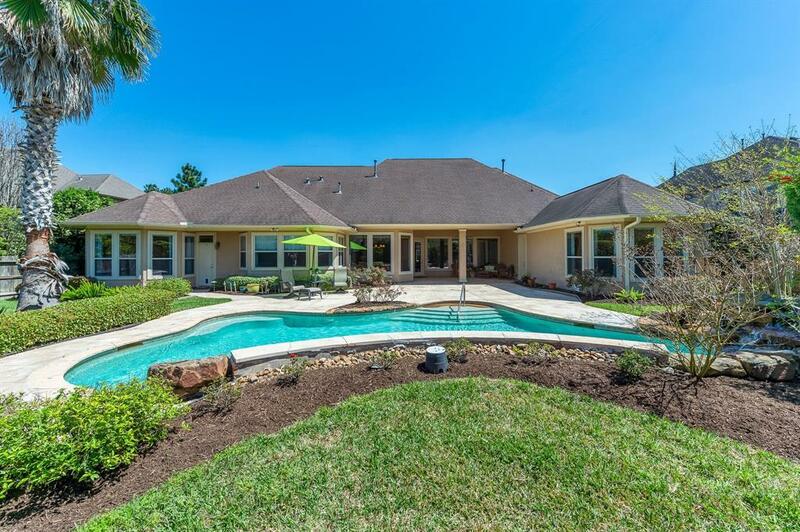 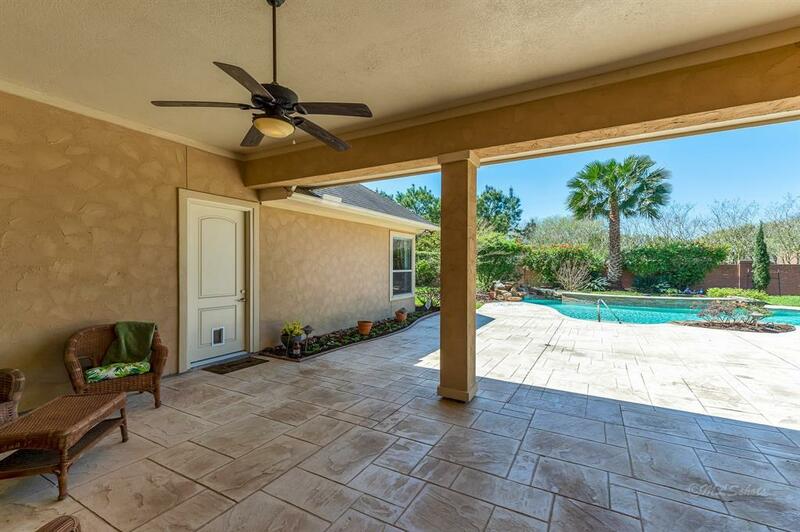 Two separate garages, covered veranda, sparkling pool & massive yard. 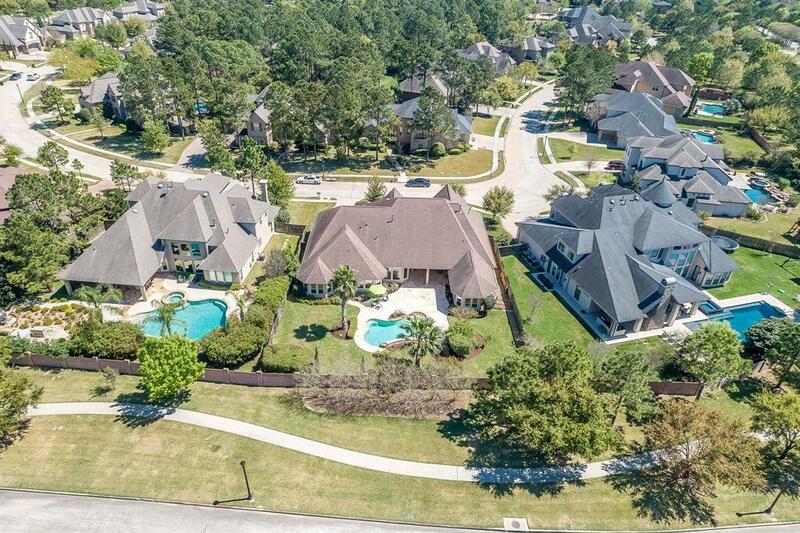 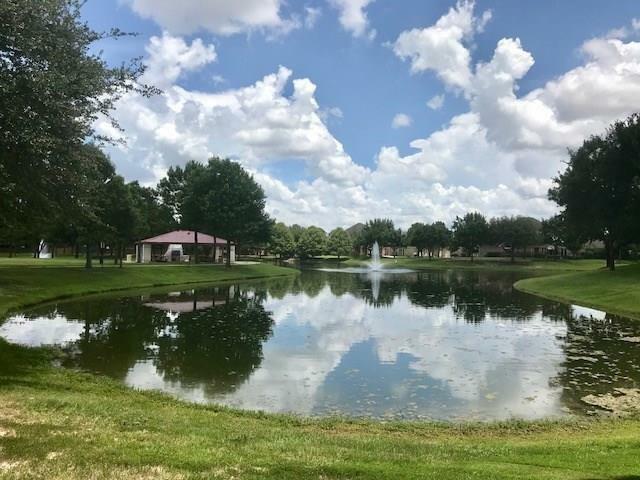 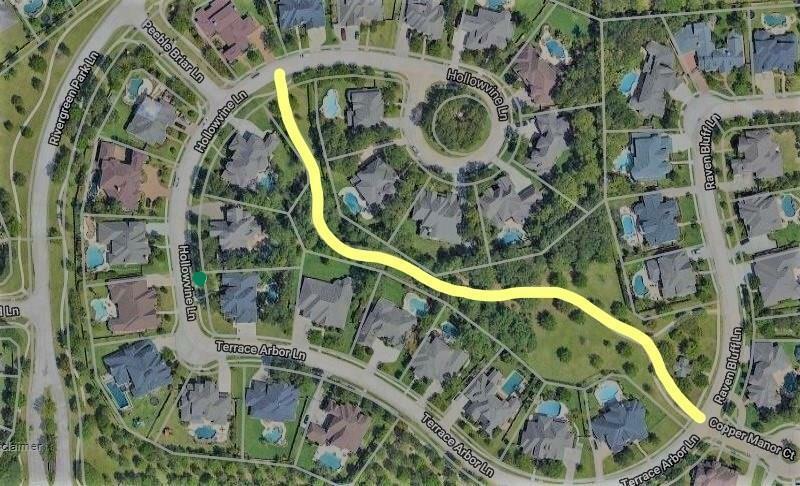 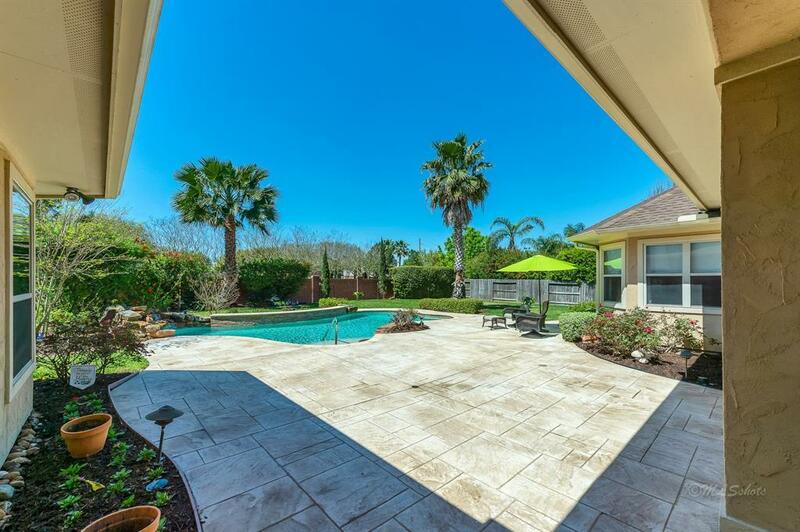 Walking trail & community areas w/in this gated community & access to all the Cinco amenities, hike & bike trails. 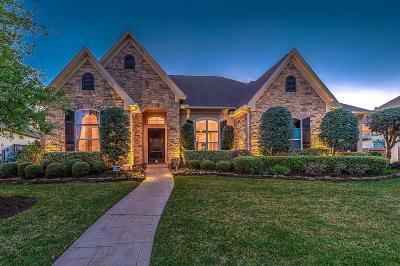 Come make this yours! 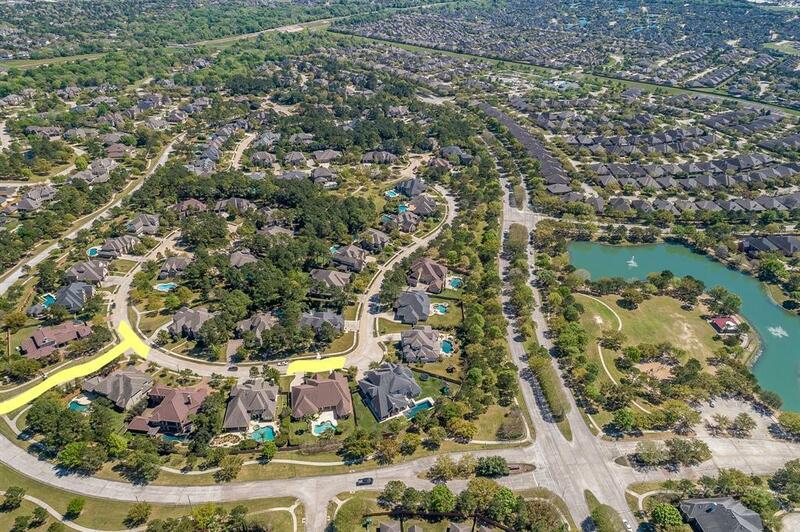 Directions: I 10 West, Exit Grand Parkway (99), South (Left) On Grand Parkway, Right On Cinco Ranch Blvd, Right On Claircrest, First Left On Cinco Estates & Go Thru Gate, Then Right Onto Raven Bluff & Road Will Curve Into Terrace Arbor Lane, Then Hollowvine.